Here’s the step-by-step guide to plugging into the party–it’s easy and there is NO need to register or share contact/personal information. Now follow these instructions to sing!! 1) Go to URL: http://tinychat.com/gltich. 2) When you see this, select GUEST. 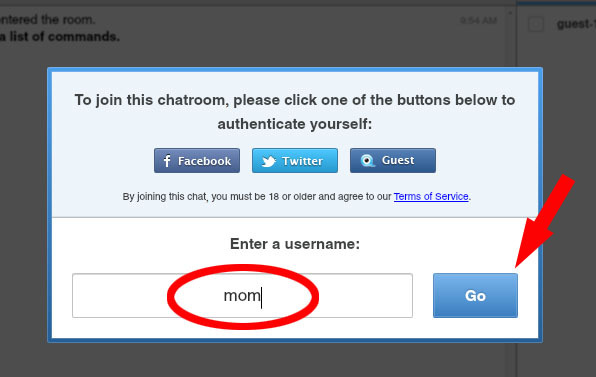 3) Enter a USERNAME (it can be ANYTHING and does not have to be your real name). Then click GO. 4) Another window may open regarding Facebook or Twitter announcements. You can just close these windows. 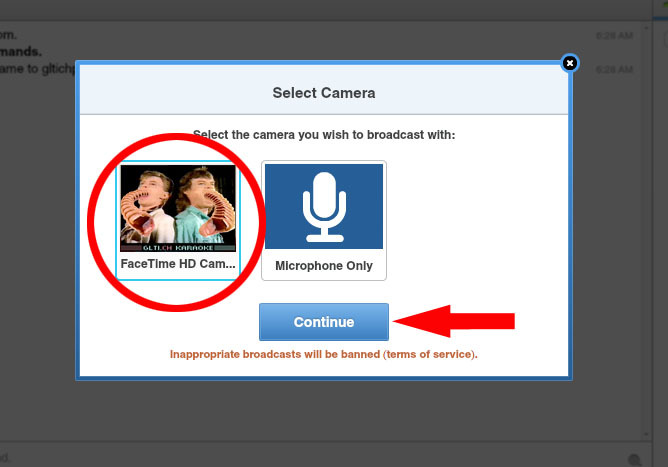 6) Click the START BROADCASTING button (towards the upper left of your screen). 7) Select your computer’s CAMERA. Then click CONTINUE. 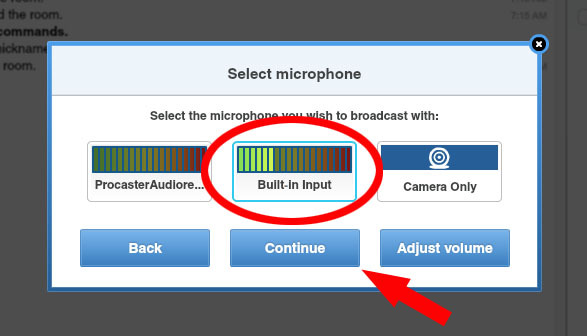 8) Select your MICROPHONE (to test this, make some noise and see which level responds). Click CONTINUE. 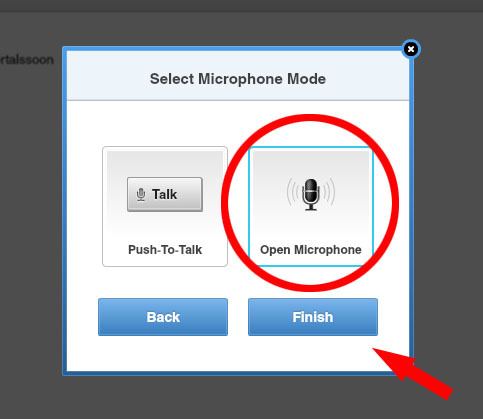 9) Select OPEN MICROPHONE. Click CONTINUE. 10) And that’s it! You’re now ready to GLTI.CH KARAOKE! Woohoo! If you have ANY QUESTIONS in this process, either chat us up via text no the page or email us at mess@gltich!